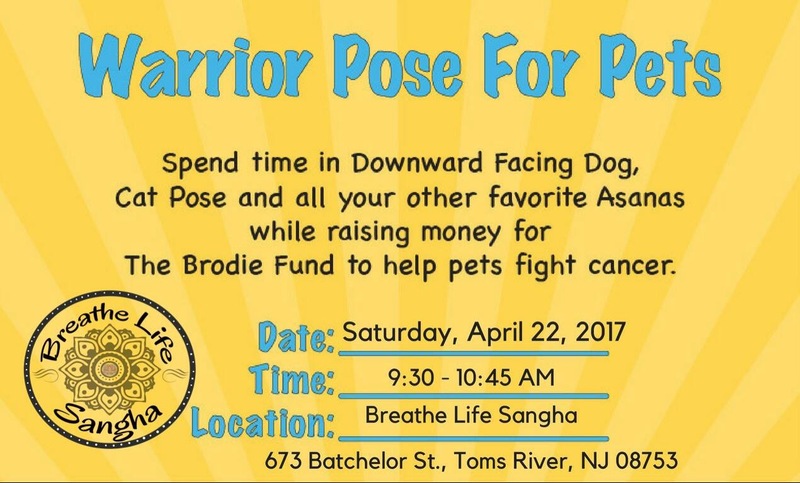 I couldn’t be more excited to share with you that I will be teaching a special Yin class to help raise funds for The Brodie Fund, which helps pets fight cancer. Whether you’re new to yoga or not, what better way to get introduced to the Yin practice while helping out our furry friends! This class is open to all levels. Meditation and the use of essential oils will be used in class for the ultimate relaxing experience.